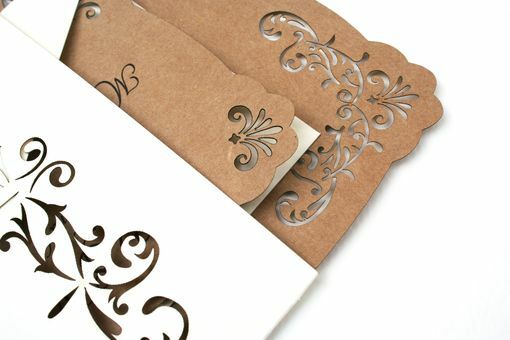 I specialize in letterpress printed and laser cut wedding invitations and other stationery items. This design features a lace decorative border laser cut into thick 110lb paper. 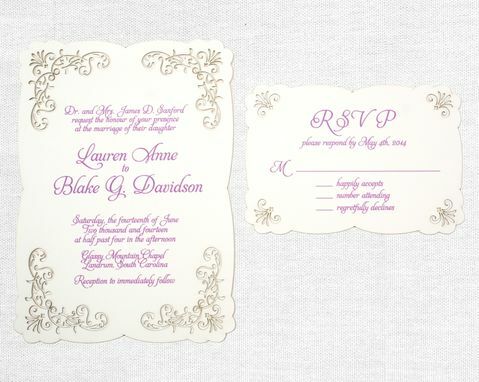 This invitation is perfect for a vintage inspired, rustic, or classically elegant affair. 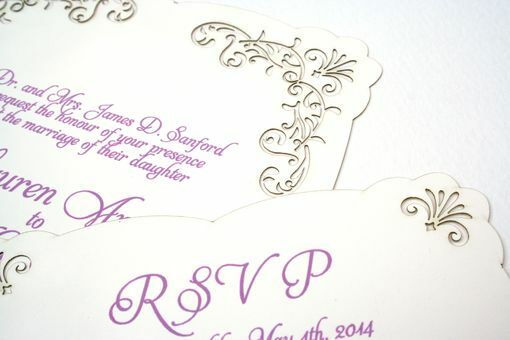 Paper stocks include white, cream, kraft, or shimmery sparkle papers. 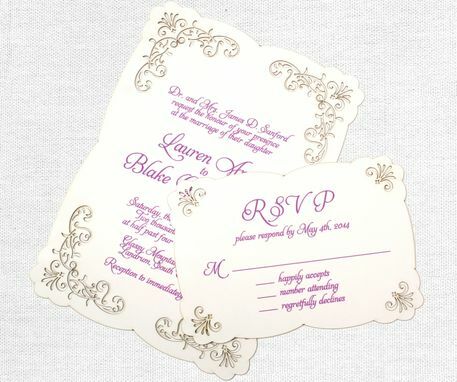 I can make this same design for you, changing the wording and/or colors if you want, or you can contact me to create an entirely new invitation design. Custom design fees range from $100 to $300 (depending on the complexity) on top of printing costs. Minimum orders are normally 50, but I can sometimes make as few as 25 for you, depending on what you need. Contact me today!